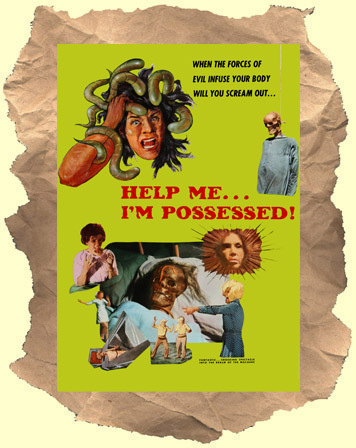 HELP ME...I'M POSSESSED (1974) - Buy it on DVD! - aka Help Me, I'm Possessed! SYNOPSIS: A really strange, fun, film from 1974 about a nuthouse in the desert with a "doctor" (this guy is a real prick) who feels snakes, whips, a guillotine, torture and death are good cures for his victims...I mean patients! He even has an old hunchback assistant, caged freaks and a cave monster. All of this with plenty of eye-melting 70's styles and set design. This curio is a real jaw-dropper and a personal favorite!